This post would educate you about freelancing and some strategies to make money with it. You could also find the information related to high paying freelancing jobs and some useful freelancing websites to earn money from the comfort of home. The internet is a prominent place to make money with the variety of opportunities, and almost everyone wants to acquire some monetary benefits at their spare time. For them, Freelancing is the real option to make money online by offering their talents to the needful persons. Let’s discuss the basics for better understanding! 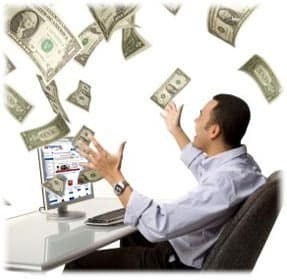 It is the common question among the people in the world as it is one of the genuine ways to make the online income! Freelancing is the self-employed job that can be performed on full time or part time basis by accomplishing the tasks requested by the clients from companies, websites, etc. Depending on the skills like typing, writing, designing, photography, consulting and so on, the individuals can select the type of freelancing jobs. Earning is depending on the individual’s ability, involvement and motivation on the chosen job. Working as a freelancer is the best way to show the existing skills and progress those by working experience. Job flexibility and short term profession are the main reasons for its popularity, and many individuals are making six figures income with it. There are many fake freelancing sites exist online which would not pay a single penny for the workers, so it is essential to choose the sites carefully before starting any freelance work. What are the Basic Requirements For a Freelancer? Making money as a freelancer is a genuine idea for the folks who want to work from home through the internet. Without proper planning, nothing can be attained. So plan the working hours and days to achieve the targets. Recognize your skills and choose the suitable freelance job. Picking new expertise job would result in frustration and fail. Creating and promoting high-quality profile with skills and experience would help to get more online opportunities to work. Bidding on more jobs to have more clients would decrease the efficiency and ruin the reputation. Involving in online communities related to chosen field would help to expand the knowledge in fascinating skills by getting tips and suggestions from the community members. The high quality of work should be targeted than making money aspect that could attract more clients and would make this career sustainable. Submitting work samples and displaying capabilities through suitable methods would improve the online presence and aids to get more clients. The freelancing job is a virtuous way to be self-employed and make money online by offering the skills to the required clients. Several companies want to build their business online, and so they need people to work for them and will pay for the completed task by the out workers. Many genuine freelancing websites are available to make money online, but it is recommended to choose the suitable one to make huge profits. After signing up, it would be good to create a high-quality profile by specifying your work experience and creative skills to make huge money. Then the jobs should be chosen based on the skills, and it is good to start work with dedication. If the website with the bidding method is opted to work as a freelancer, then it would be good to bid the lower budget projects to build the reputation among the clients. Avoiding the jobs that do not match the skill is good and attaching an excellent description that explains the work & cost along with previous work samples would be attracted to the clients. It is respectable to provide the high quality of work, as the customer satisfaction is the key to getting success in Freelancing jobs. While working on the project, it is reasonable to update the status of the work to the requester with regular communication and the work should be delivered on time. What are the High Paying Freelancing Jobs? Here the best freelancing jobs that pay huge cash! As the internet usage is expanding day by day, most of the people decided to do the online business or linking the existing business online to develop it. These companies need persons to design applications, select and edit photographs for their online use, create graphics and marketing ideas, etc. to run their online business and they contribute a good payout for the freelancer web designer and graphic designer. Thus, these freelance work from home comes in the list of high paying freelancing jobs. Online companies and bloggers need people to take responsibilities to oversee campaigns, create customer experience strategies for their brand, content production, manage client relationship, SEO, update products/services on their website/blog and so on. So, people with internet marketing skills can earn huge income as a freelancer. Companies need persons to create online tools and applications for their websites and to provide technical support for them. People with application developing knowledge can earn money by improving the architecture and applications for the web development of online enterprises. A person with good writing skills can work as a freelance writer. Content managing, technical and blog writing, researching and editing proposal documentation, learning documents and checking grammar & spelling mistakes are some of the freelance writing jobs online that can be carried out by an individual if he/she is good in writing. As there exist countless freelance writing websites, writing in unique style without grammatical mistakes would help you to make more money online with freelance writer jobs. Social media websites like Facebook, Twitter, Google Plus. etc are gaining attraction among the internet users. Thus, people are being required by the various internet companies to publish content on social platforms and implement & manage their public strategies on several social media websites. Many individuals are freelancing as a social media coordinator and earning online substantial revenue with it. Not only with these freelancing jobs, but people make huge online income as Translators, Re-sellers, Medical transcriptionists, Financial consultants, Tutors, Photographers through various freelancing websites. Below are the some of the helpful freelancing sites to start your freelance career! 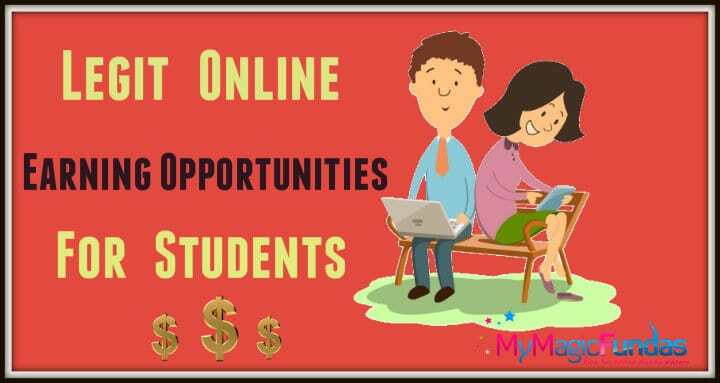 Now, no one wants to stay back ideally at spare time as the internet is filled with numerous high paying online jobs. Enjoying with plentiful work opportunity is possible in Freelancing career and there is no limit to potential earnings here. Getting a wide range of experience by working in a variety of different projects would let the users create a great networking group through the satisfaction of clients and long term relationship with them. Self-motivated individuals who are punctual in nature with specific skills and do not mind in working alone can choose this freelancing job. The only difficulty here is the work is not guaranteed as the one needs to work on a consistent basis. I hope that you’ve understood what is freelancing and how to make money online with freelancing jobs. What is your opinion with the above discussed highest paying freelance jobs? Give your feedback in the comment section. worthy post for who looks freelance career and start .. Great Job..
What a surprise visit Radha! Am pleased with your appearance and happy to know that you’ve agreed my post is an useful one. I was looking for the Genuine websites for the freelance career and you listed some of them, great work…keep on doing this. Oh great, you was searching for some honest freelancing websites and glad my post helped you in some way. People like me can’t go in for freelancing jobs since most freelance sites use paypal as means of payment but paypal isn’t supported in my country. Sad to hear this news from you, hope atleast you would have the Paypal service in the future. Yeah, most of the freelancers are getting pay out through Paypal. My freelance writing gigs rock 😉 Love your article here because freelancing is one way to prosper online while you grow other ventures. Practice developing your skills daily so you can get paid for offering your skills. Welcome to this post Ryan and thanks for reading it. Its good to get your views and glad you liked my article. Not only writing, talent of any type can be converted into money here, keep visiting here! Wow!!! what a lovely post that all freelancers should read. I am a freelance my self for some years now and i must say that there are good revenue returns from that aspect of blogging. Your comment made my day Baba and glad to hear that you’re a freelancer. Yeah, I too worked as a freelance writer for few websites, but due to the time limitations I can’t continue with that. Hi Nirmala, you composed a complete information about freelancing job. Anybody can get the whole dimension about this attractive job. Regarding the listing of freelancing sites, I’d like to change the order of first three just in reverse. I think oDesk is the best one and then eLance and then Freelancer. Yeah, my wish is that the readers should get benefits with my post. So, I usually take valuable time to compose my post to provide the maximum data. Thanks for the suggestion! Sure, will change the order of the freelancing websites as per your words. Complete profile 100% along with your profile picture and always apply for jobs with a sample job you have done because clients will check only these two thing while selecting a freelancer. Welcome to my blog and thanks for reading my post. Its good to get your opinions, hope it would help the readers to create a high quality profile if they wanna earn money as a freelancer. Welcome Marilyn! Glad to hear from you that have been searching for this type of post and you’re a freelance writer. Yeah, I consolidated the high paying freelancing jobs for the people who really wants to make money as a freelancer, so that they could develop their skills in that areas. Freelancing is working for others and can be a great method to start earning from the first day itself. The only requirement is our skills and the working platform is provided by those sites you mentioned in the end. Whereas blogging is working for yourself, but it takes some time to establish a readership and start earning from your blog. This is the basic difference in freelancing and blogging in terms of time and money. Because of this I have seen that many people start an online career with freelancing and some of them do get to great heights with it. I have a friend who has started a blog but it not getting any success with it. Actually he is an impatient person 🙂 I will share this post with him. Hopefully he gets all these precious knowledge! Yes, you are right and it is a good explanation by you which describes the difference between blogging and freelancing. If a person with immense talents but not having patience, it is true that he/she can’t make money with blogging as it needs patience. Pleased with your visit, keep doing it! I have personally made money vie Elance and Fiverr in the past doing some freelancing jobs, i still do till today as my hire me page on my blog can reveal. Thanks for sharing some high paying freelancing jobs on this post. Its always amazing reading from you. Nice to know that you’ve earned money by doing freelancing jobs. Yeah, fiverr is the genuine site with which anyone can make money by showing the talents. Web designers, content writers, search engine optimizers and application developers are earning huge income as a freelancer and they’re badly in demand too. Thanks for the comment with your freelancing experience, hope you’ll earn more with it. Its my wish to work as freelancer. because freelancers can cash their skills more effectively. If someone has no job and he has some skills then these websites can provide job. Thanks for commenting, stay tuned here! Yeah, I too had a good experience with Fiverr and some freelance writing websites. So suggesting the people to earn with it by showing their skills. Always, I wanna present some good n useful information for the people to earn money at home. An informative article. There are lot of newbie bloggers, don’t know how to earn money from online. I think this list of freelancing sites will surely useful for them. I know, people are searching the ways to make money online. So decided to present some useful data for them. A very nicely compiled list of freelancing sites here. Am sure all those who are looking forward to get started as freelancers will find this post of yours very useful. Yes, I listed some genuine freelancing websites with which the individuals can make real money online by expressing the talents. hi nirmala, this article is very inspiring. Alot of people are making cool cash from freelance website daily especially fiverr, elance, odesk and freelance. Thanks for bringing this into our notice. Yes, individuals are making a decent online income with freelancing websites by offering their skills. Glad you’ve found my post useful. Great post, freelancing is much better than a full time job, after quitting my job I was also a freelance developer now I am full time blogger. Freelancing gives you great income with less headache if you are a content writer or designer you all need to follow the instruction of your clients…. Thanks for appreciating me and great to know that you worked as a freelancer. Agree with your points, I too worked as a freelance writer in some websites and it is compulsory to follow the client’s instruction, otherwise they’ll reject our article. This post is full of valuable information for anyone wanting to explore freelancing. I think one of the challenges in the first instance is to get some good reviews of your work, which will make it easier for you to get further jobs and also enable you to charge a reasonable rate. I think one of the problems with freelancing is that the pay can sometimes be very poor and you have to be careful not to under-sell your skills. Thanks for this – especially the trouble you’ve gone to in providing all those links! Its good to get your opinions associated with freelancing jobs, hope it would help my readers to understand much better to get more freelance opportunities. Yeah, you are right! There are websites which pays very low even for exceptional works and so it is essential to choose the good one where the work will be recognized well. I gave links to some good PR and popular freelancing websites which would be beneficial for my visitors. Well few days back I was actually searching the meaning of this term “Freelancer” and was wondering that why this word was so much into the buzz in the markets?? And I got my answers from your post. Nice, comprehensive and educative post. Freelancing is a better way of making money online. Sometimes you get good deals, other times you ll be surprised at clients offering. But all the same you make good living. Yeah, freelancing is the genuine way of earning money online. Thanks for appreciating my work and am happy with it. Am always wanna present useful data for my readers, hope they would be beneficial with it. Thanks for the list Nirmala. You may also want to check out purecontent.com, madcontent.com, londonbrokers.net and articleteller.com for higher paying jobs. It is very helpful information… It is very beneficial for newbies……. I’m very surprised LinkedIn didn’t get in here somewhere! It’s my number one gainer of clients. I’ve gained jobs from LinkedIn for both mobile application programming, as well as a consultant for websites. I don’t know how I could make a decent income freelancing without it to be honest. Thanks for sharing your experience in freelancing jobs related to Linkedin! Am a learning blogger, worked in few freelance websites and just developing communities around all my social profiles. Freelancing is best way to earn money online from home.You gave the nice list of jobs to do from home. Informative Article Every Freelancer Take A Look To These Site To Increase $$$ In Their Pocket 😀 Thanks For This Thanks For This Article Mam! You are a great blogger. I appreciate your dedication and hard work. You have done a lot of research before positing each article. Your articles are trustworthy too. Keep posting. All newbies are surely benefited from your posts. Your posts have helped me earning more money online. Thanks. Many thanks for checking the post and leaving your kind words as well. Yeah, I do research for some genuine information for my beloved readers like you. Hi, A truly interesting and helpful post for freelancers! I really enjoyed reading the post and I’ve shared it to social media as well. Thanks!